About ten years ago, I sat in my room and wrote out the things I wanted to achieve before I turned 30. Even though I was very young then, I saw far beyond my age and I could remember that as a teenage girl, I had dreams of running a college for girls, speaking before a large crowd along with some other crazy unrealistic dreams. I had also wanted to get married by 26. Many years later, after I surrendered my life to Jesus, I began to follow him as He led me through different phases of life and all of my experiences have brought me to the point where I have determined not to leave this earth until I fulfil the reason for which I had been created. I’m past 26 and even though I’m still single, I’m grateful for one thing. I am discovering why I have been put on this earth and that brings so much joy and satisfaction more than anything else. Dear Christian lady, find that thing that makes your heart tick. I know you have heard this a number of times, but can I just remind you again? There is a reason God created you. Find it. …that our daughters may be like graceful pillars carved to beautify a palace. I see myself in that verse holding things in place. Without my presence, an area of the palace has a high chance of crumbling. Now imagine all of us submitting under God’s mighty hands and allowing him carve us and place us as pillars in different locations. That’ll gladden his heart so much. It is not wrong to be confused about what you want to do with your life but staying confused when there is a solution is not acceptable. Don’t sit there whining about how your life is not making sense. Go to the One who has the blueprint for your life. It all start with God. Because His spirit lives in us, He will guide and show us what to do with our lives. We jump from one relationship to another because we lose focus of our starting point. God. We forget that peace and contentment can only be found in Jesus. Marriage is not all there is to think about as a single girl. When I read the story of Mckinney Mitchelle Hammond, instead of the self pitying glance that normally accompanied stories of women who married in their 40s or 50s, I was moved by the great things she accomplished in her generation. 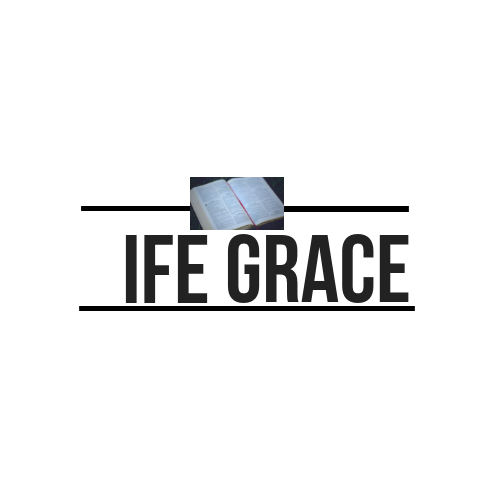 I am a recipient of God’s grace in her life. I saw a lady who rather than seek her identity in a man decided to pursue God while He fixed the other areas of her life. 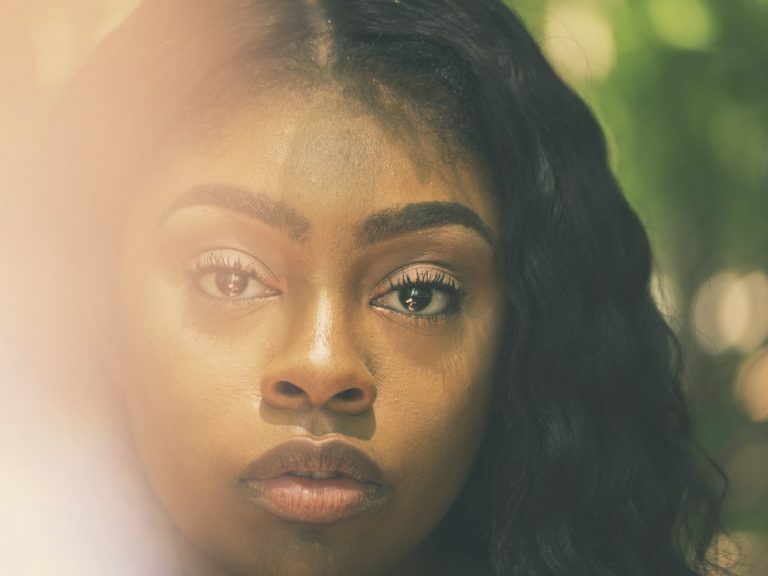 She had to come to a point in her life when she completely surrendered to God’s will. If you have an issue with loneliness, research shows that marriage won’t even cure that. Loneliness is a state of your mind and within a few years of clinging to that man, you’ll fall into a greater depression. This is different from the feeling of being alone. The latter is put by God to cause a desire for companionship. But this desire does not produce desperation. It keeps you in a state of hope as you wait to meet that person whom you will share your heart with. Spending time with God is the cure to a lonely heart. You can be single and be happy. Don’t let anyone deceive you by convincing you otherwise. Stop worrying about what people think when you exude happiness as a single. Even married people are not exempted from this. Haven’t you heard where a family is said to be pretending they are fine because they seem happy in public? You do not owe anyone explanation to prove your happiness. Believe me, when I say you will be genuinely happy when you are lost in God. It is only when we turn to our flesh that those depressing thoughts get to us. 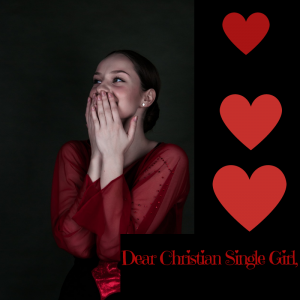 Singleness is a gift. While it lasts, it will be foolish not to use it well. There are weekends I sit with my laptop from morning till past noon without having to think about who would be expecting lunch or dinner. There are times, because I am so worn out from work, that I just take something really light or nothing at all. How can you do that if you have a spouse and kids to attend to? Even if you don’t feel like taking anything, you have to get into the kitchen and prepare food for your family. This is a time to get intimate with God and build spiritual maturity. Our talents and gifts must begin to see the light even from this phase of our lives. What about that training or course you’ve been longing to do. The outreaches nko? That skill you said you would acquire before the end of the year, have you made any move towards it? What’s stopping you from grabbing that opportunity to travel and bag that degree? Stop wasting time rolling on the bed and worrying over a man that’s yet to show up. God is preparing him. You prepare yourself. When God finally brings him, it will be two spiritual giants coming together. That’s explosive, isn’t it? For the lady going through a heart break: God’s got your back. You will heal in no time and when God finally brings the real person, you’ll wonder why you had to put your life on hold for him. If God should open your eyes to see some of the things he is protecting you from, you will be grateful for that break-up. For every step taken, for every incident that has occurred, God’s love is abundant and like a hen protects her chicks, God is seriously watching over you. Don’t beat yourself up if things did not work out as you planned. His plans are way higher than ours. Do not give your pearls to dogs by compromising your stand just because the society gives you a run down of the consequences of late marriages and now you are doing everything to keep him. Have you forgotten that you have been bought with a price? Your price, my dear lady, is far above rubies. Nothing brings more satisfaction than walking with God every step of the way. Do I need to remind you that you are beautiful? Oh yes, you are gorgeous and sweet. How joyful it will at 80, when we look back, smile and dance because our seeds produced abundant harvest. When we close our eyes ready for the transition to a greater glory, we can rest in peace knowing we have poured all out as a drink offering before God. We have died empty. Let’s have fun sis. God makes everything beautiful in his time. Thank you Grace. Thank you so much. This has blessed me in so many ways. I can't go into details right now. I will read this over and over again until some of the points here sink into my subconscious. Thank you Esther. I'm glad this blessed you. am really blessed. this just answer a bothering question in my heart. I’m glad this helped. Thanks for reading. Miss Ife..thanks so much for yielding to I AM. THIS MESSAGE really blessed me, and I can’t wait to bless others back. Heart you greatly sis..have a wonderful day. Miss Oluwatoyin, thanks for reading. I really appreciate your kind words too. God bless you. 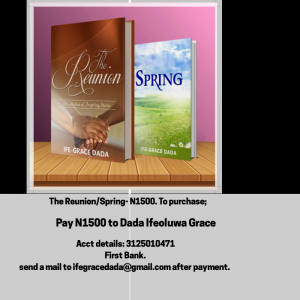 God blees you ma for this wonderful piece…more grace and inspiration to write. Amen. Thanks for reading . God bless you am touched…. I’m so greatful for this piece of writing. It came when I needed it. Sometimes it seems I forgot who God is. Thanks Dear sister.